Scalds from any hot liquid like boiling water, coffee or milk, and similar burn injuries are among the most common childhood accidents. You can’t blame your kids if they are super-active and curious, but it often leads your baby’s hand or mouth to a place it shouldn’t be. This simply happens because your baby can’t realize the magnitude of hazard involved. A quick burn rescue tip will help you save your baby from serious mishap. Burns varies in severity and can be classified as first, second and third degree burns. It is important for you to understand the austereness of the situation so that you can take the right action at the right time. In first degree burn cases, the outer layer of the skin is affected because of the accident. The skin will appear reddish and little swollen. This will be accompanied by some pain. First-degree burns are minor and can be easily handled at home with correct first-aid measures. In second degree burn cases, the first and second layer of skin is injured. 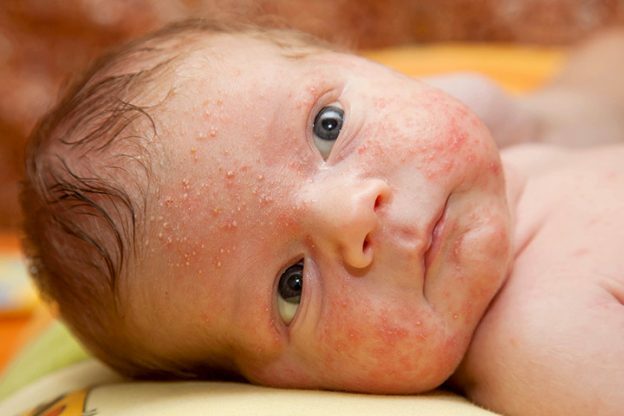 The baby’s skin will appear bright red, blistery and swollen. There would be severe pain. If the injured area is small, first-aid can be provided at home. However; if the affected area is large, medical assistance should be taken right away. In case of third degree burn, the injury affects all the layers of skin and the tissues underneath. The wound will look charred, white, black, waxy or leathery. 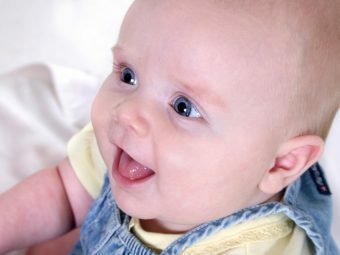 The baby may or may not experience pain right away, as the nerves on the injured area get damaged. In case your baby has suffered third-degree burn, rush to the nearest hospital immediately. First degree burns can be treated at home with the help of proper medical aid. 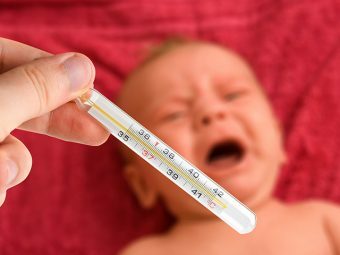 In case of second degree burn, if the affected area is more than 10 percent of the body, or the burn is on face, joint, genital or hands, take your baby to a burn specialist immediately. There should be no delays in reaching the nearest hospital in case of third degree burn, regardless of the affected area. Soak the injury in cool (not cold) water or under running water through a faucet. Keep the injured part soaked in water for at least five to fifteen minutes. Do not use ice on the wound. If burn happens through fire, the cloth gets heated up as well. So it should be removed from the wound immediately. If, however, the cloth is stuck on the wound, do not peel it away, as it would rip the skin. Leave the stuck portion of cloth and cut the clothing around it. Use non-stick gauze to wrap the wound. Do not put anything greasy on the wound. Do not pop any blister. In case of mild burn, you can use antibiotic ointment. 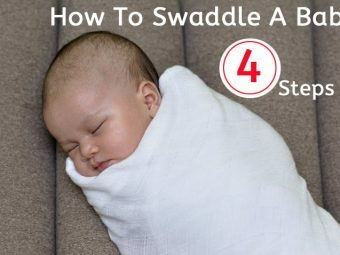 If your baby’s or any portion of cloth is still on fire, wrap them immediately in a blanket. This will cut air supply and the fire will extinguish immediately. 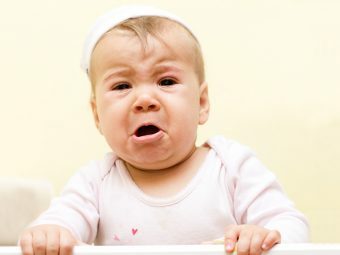 Give a suitable pain reliever to your baby by consulting a paediatrician. The dosage and the medicine type used on children vary from that used on adults. This is why consultation with professionals is necessary. We understand it can be a scary and heart-wrenching situation in case your baby suffers from burns. But the first thing to remember is that you need to stay calm in order to perform the required care steps immediately. Babies, especially when they start getting mobile, tend to get into dangerous spots. So stay alert and prevent accidents as much as possible. 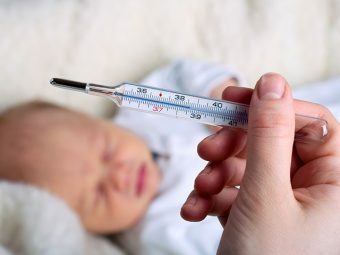 Share what immediate steps you have in your mind mommies to be performed for baby burn treatment and help other parents to learn more on this topic.